“Capresso” combines the words “cappuccino” and “espresso” to produce something new and distinctive in the world of coffee. Capresso defines the ultimate in home coffee equipment with its innovative coffee makers, espresso machines, coffee grinders, automatic water kettles and other kitchen electrics for those who want the best. 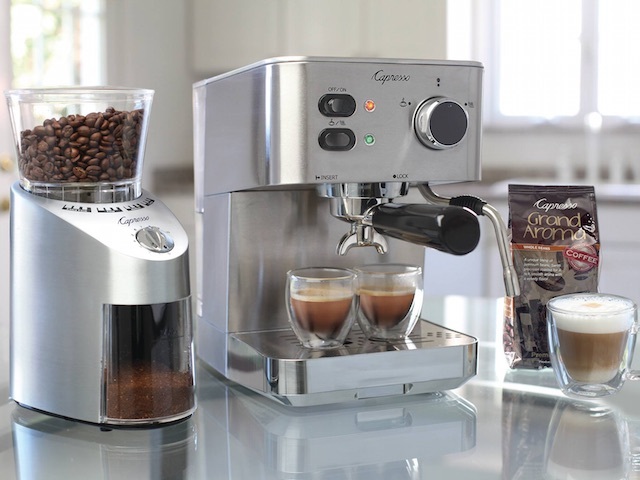 Since the birth of the brand in 1994, Capresso has been responsible for numerous industry firsts, from unsurpassed technology for the CoffeeTEAM line of coffeemaker/conical burr grinder combinations to innovative new espresso makers, water kettles and automatic milk frothers that stand out for their advanced features.